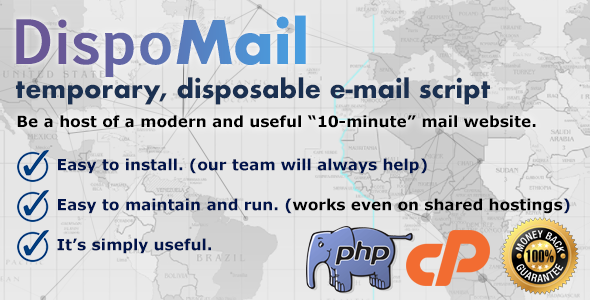 DispoMail is a PHP script for creating instantly temporary (disposable) â€œ10 minuteâ€ emails. Creating temporary spare emails with ease. Handy, useful, modern and quick.